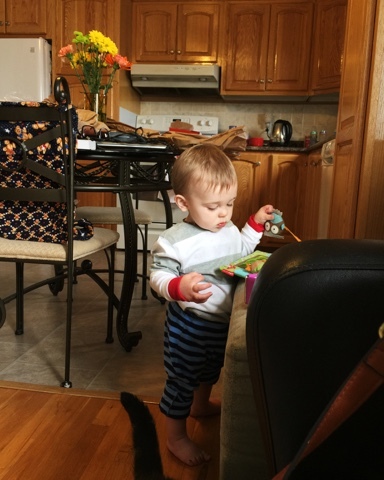 Holly’s Housewife Life: Let's talk about Homemakers vs. Housewives.. Wondering what to eat everyday is one of my major life struggles..
That's where my bloggin' BFF Fran steps in. 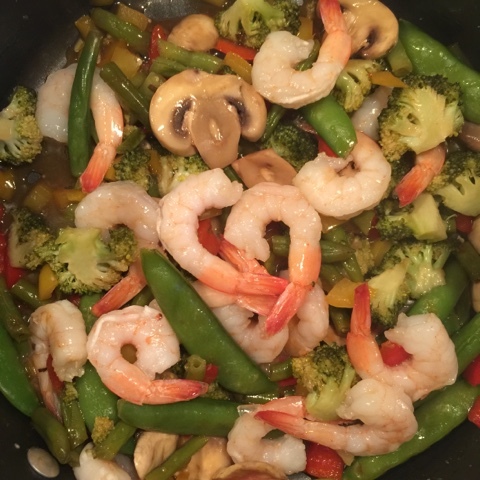 She blogs over at The Hungry Homemaker Blog and last week she posted about stir frys. Light bulb - STIR FRYS! No bread, no eggs, no problem! Growing up we were a strictly meat and potatoes kind of family. Let me tell you that gets old real fast.. I in turn gave up potatoes for a large portion of my life.. The only noodles we had on the regular were coated in yellow powder and tend to go by the nickname KD..
Now I'm just going to list a bunch of thoughts that followed.. There will be a lot of """""""" these, anything within those quotations imagine the voices in my head speaking them..
"lets start with the basic sauce".. The sauce has basic in the name, how hard can it be! Go to the grocery store..
Can't find any rice wine vinegar..
Ok move on to another ingredient, ginger..
"Dang it Foodland, no ginger to be found"
"I really want Shrimp, I don't think orange sauce is the best choice for shrimp I would rather orange with chicken"
"Sweet and sour... but again, I can't find any rice white vinegar!" Ok we were down to the final call.. I walk up to the produce..
NOT A FREAKING LEMON IN THE ENTIRE STORE. Turns out I forgot I lived in small town Newfoundland where trucks don't always arrive on time and fresh food supply tends to run low, often. I drive to the smaller, only other grocery store in town. I buy 2.. better safe than sorry. 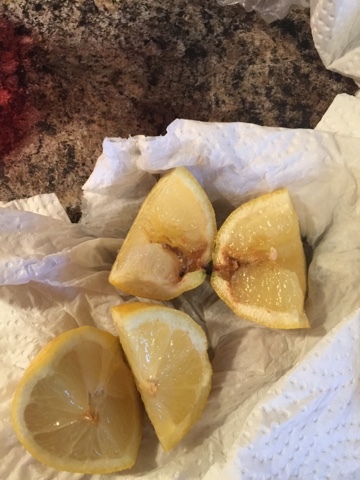 and man would I have been sorry..
See bottom photo for what happened when I cut into that first lemon. My head nearly exploded but all was well, my back up lemon saved the day! That's right, I'm a stirfryer! Shrimp in lemon sauce, whoot whoot! Look at her photo then come back and tell me if mine compares! I'm so excited, I really think this could be a regular menu item. Its so versatile! I added mushrooms because we love mushrooms. Next time I think I will sub chicken for the shrimp. Now if only I could find rice wine vinegar!! Other than that, FYI our house is still for sale. 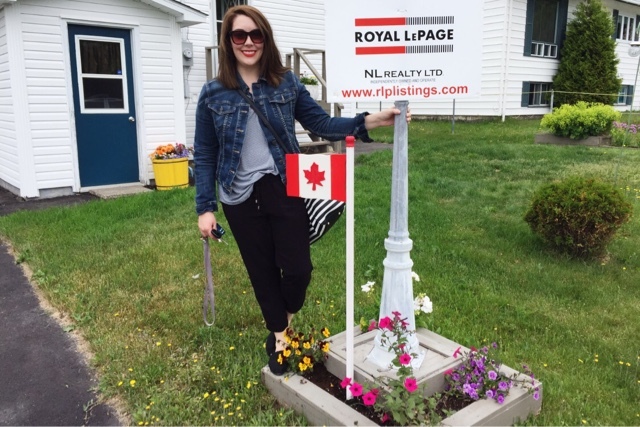 I feel like we are at a stand still, come'on buyers move to the rock! Is this - close to walking without holding onto anything. He also loves mixing pattens. Yeah that's a cat tail. Yup my house is a mess. why is life so cruel???? Do you have a lazy lady recipe for me to try? It looks great!! I was going to message you to see how it turned out! Whenever you make the trip out to Ontario, we'll stir fry together!! Lol what's up with that lemon?! Yuck! Thank god for the backup lemon! Good thinking! Baha haaa ha! That is hilarious. Stir fry is not my best work, but my husband is actually good at it. Sorry the stores were so cruel to you. The end result looks great though! Lol omg that is my kind of luck!! Im glad you were able to make your stir fry in the end though!